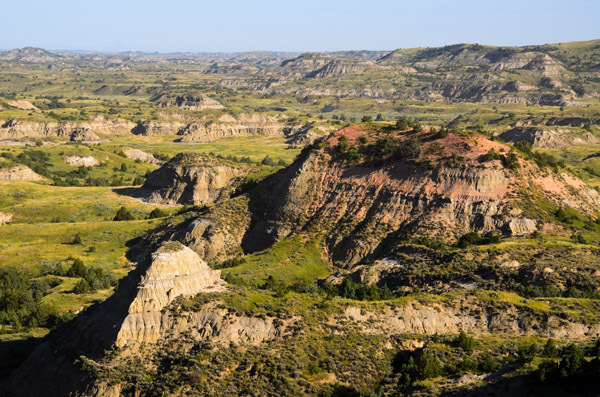 In honor of our recent return to the States, and to commemorate one of our favorite places from last year’s travels, we’re posting for the first time this photo of Painted Canyon in Teddy Roosevelt National Park, ND. Wow! I want to go there one day. Summer is coming. What better time than to plan a roadtrip? Never thought I would want to go to North Dakota until now!!! Beautiful shot! Wow! Teddy Roosevelt NP is pretty awesome. Most folks miss it because it is out of the way, even for a roadtrip. But having the place mostly to yourself is just one more reason to go. WOW! What a journey! While it takes a lot of patience and planning on your parts, we get to tag along on your journey as well. Thanks for sharing. I need to update the Bucket List now…. !